Large scale site-specific journey drawing made over 3 days. Drawing what could be remembered of the journey from Holsworthy to Filleigh along Devon lanes. A composite reality, condensing time and space, dictated by memory. 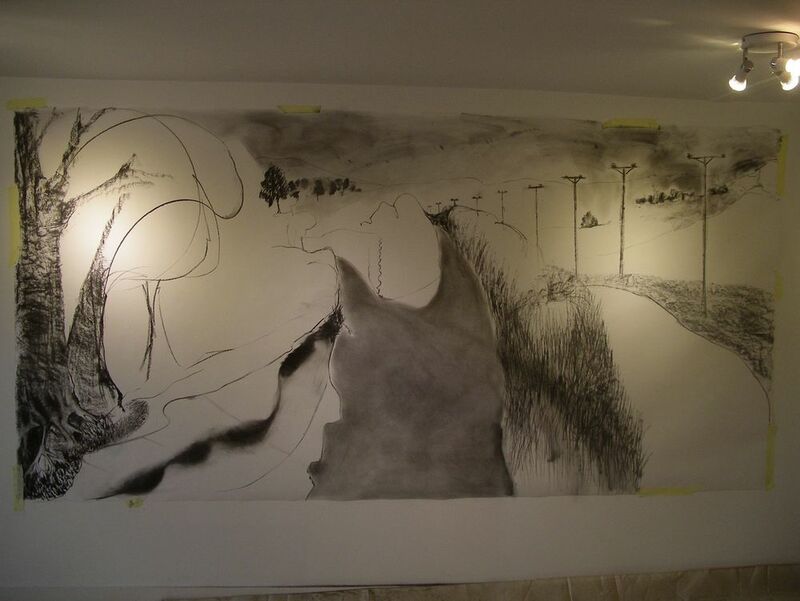 This large scale site-specific journey drawing was made in the spring of 2013 in South West England. The journey from Holsworthy to Filleigh takes 90 minutes by car along intricate winding lanes through the Devon countryside. The drawing is from memory having made the journey several times back and forward to the gallery between March 28 and April 3, 2013. 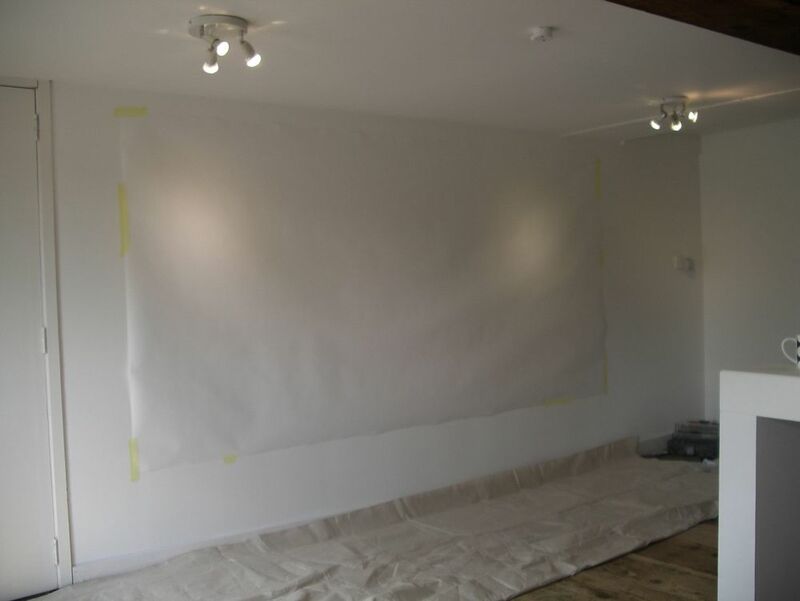 Once at the gallery I began to draw what I could remember of each journey onto a large roll of paper stretched across the gallery wall. The drawing took several days during which time I recorded things seen, roads taken, oddities recalled and the shapes and patterns that describe the Land. The resulting drawing is a composite reality, condensing time and space with accumulated fragments and multiple perspectives, overlapped by experience according to memory and subjective recall.